My writing has appeared in most trade journals within the coffee industry and three of my short stories have been published by Sprudge.com. I have written advertising copy, press releases, blogs, product copy, website and social media content. I am an experienced editor and I have good basic design skills, good enough to fool most people unless they’re designers. I am familiar with the Microsoft Office suite, WordPress and all the most popular social networking platforms. I have held key leadership positions everywhere I’ve worked for nearly 20 years, managing up to 12 direct reports. I describe my approach to managing as “high risk high support.” I am fluent in workflow management and I can mentor direct reports in managing their workflow. I do my best to adhere to my personal operating principles. I have served as a member and as president on the board of directors for the nonprofit organization, Coffee Kids. * I am a facilitator, running productive and efficient meetings and building strong teams. My skills as a leader and facilitator have led to an ability to lead focused strategic planning sessions with large or small groups. I am an experienced public speaker, presenting educational sessions at Coffee Fest, the NASCORE coffee trade show, the Retail Bakers Association and the World Tea Expo. I have been a guest lecturer on the coffee industry at the University of California Irvine. My role everywhere I have worked has included brand management, developing architecture and defining discipline for brand visuals and voice. This includes internal branding: creating simply articulated touchstones for employees to remind them what the brand means. You can read one example of my thoughts on branding here. You can also have a look at my brand consulting website, Fresh Ground Consulting. I write for work and I write for myself. My first novel, Deep Water Running remains unpublished but I remain hopeful while writing novel number two. I also write poetry, though you didn’t hear it from me, and I am the creator of Fabled Obituaries. On occasion, I write for my own personal blog. I have been married for over 20 years and have four daughters ranging from age 13 to 28. I play guitar (but not at parties), collect cast iron pans, vintage cutlery, ephemera and watch the 35 species of birds in my backyard. 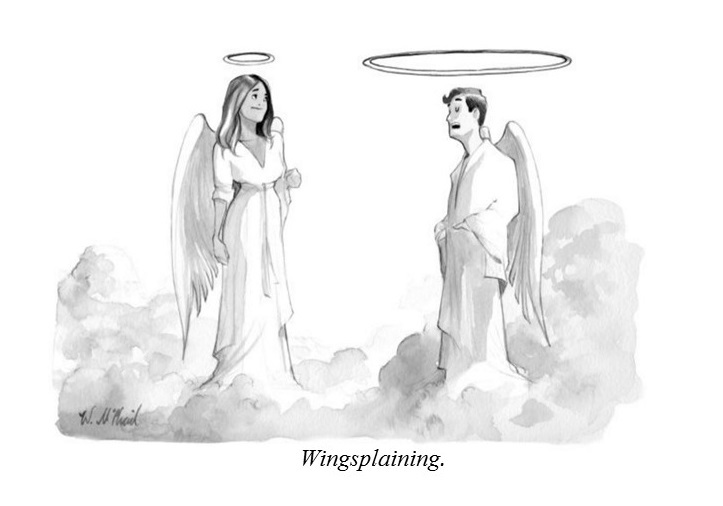 I read, cook, barbecue in foul weather, garden poorly and enter The New Yorker cartoon caption contest almost every week to remind myself that I am not nearly as funny as I think I am. I lived in California for the first 46 years of my life to get it out of my system, and I’ve spent the last seven years in Georgia. *Prior to their transition under the umbrella of Hanns R. Neumann Stiftung North America and change in mission.